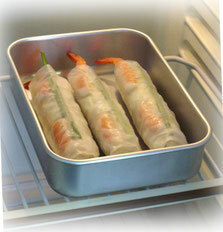 The tip for freshness is quick freezing. 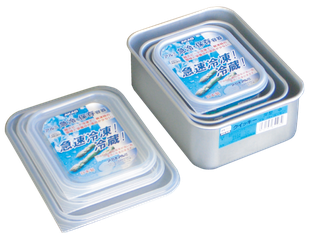 You can check the contents without opening the lid. There are holders at the bottom. The space under the bottom is the path of cool air. 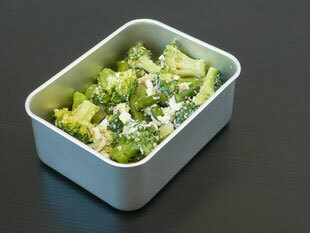 By making full use of aluminum heat conduction, you can freeze the food fresh. We have 2 types for the depth ,Shallow type and Deep type. Please choose the items according to your purpose of use. ※Please check the catalogs for details. 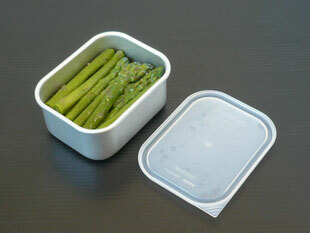 This is a characteristic of hard aluminum which is superior in transfering heat. 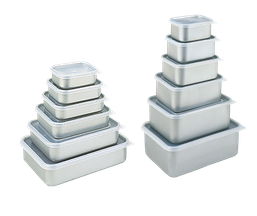 By passing through the temperature range of -1 ℃ to -5 ℃ quickly, where the food starts to freeze, you can freeze food without ruining the taste. 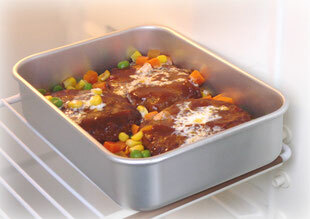 When you freeze food quickly in aluminum, you can maintain its freshness because the tissue of the food is not damaged. 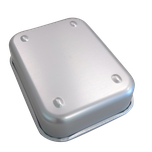 When using thermal conductivity of aluminum, natural decompression/unthawing is also quick! 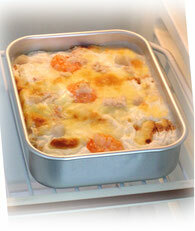 You can thaw frozen food quickly at room temperature just by taking it out of the refrigerator. 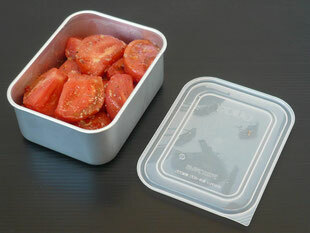 This is an energy saving container which also saves on electricity .